The Sims 4’s audience grew 35 per cent year-on-year in Q1 2018. As part of EA’s Q1 of the fiscal year 2019 report, the publisher notes that the 2014 lifestyle simulator’s audience has grown 35 per cent over its position last year. In the last 12 months, content has continued to drop for The Sims 4, keeping new and existing players coming back. Two major expansion packs, Cats & Dogs and Seasons, were released in that time. Market researcher Superdata claims that November’s Cats & Dogs brought 800,000 players to The Sims 4 alone. Other highlights from the publisher’s report showed a focus on FIFA, with other 15 million unique players taking part in this year’s world cup content. 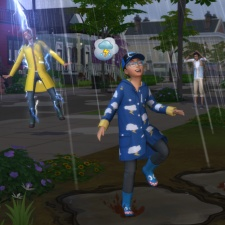 The Sims 4 shows no signs of slowing down so far. Last month, senior producer Grant Rodiek confirmed that EA has three years worth of continued updates and support planned for the title.